The 3-star ibis Porte de Bercy hotel is located close to the Bercy Village business district and Bercy Arena. Ideal for business trips and vacations, the hotel can be reached by taking bus 24 from the Gare de Lyon and Gare d’Austerlitz train stations. Located a stone’s throw from the Bercy 2 shopping center, the hotel offers 156 air-conditioned rooms with free WIFI, as well as a restaurant, bar, 6 meeting rooms and a private paying enclosed car park. 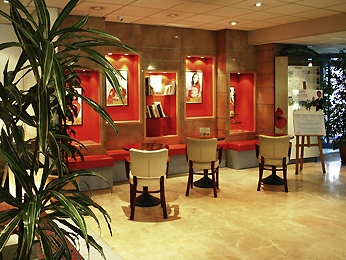 The ibis Paris Porte de Bercy and its staff have gained a lot of experience with arranging meetings, conferences, trainings and all sorts of events. Offering conference facilities including 6 meeting rooms the hotel has been used as a conference hotel in Charenton-le-Pont on a regular basis. Please also have a look at the other conference hotels in Charenton-le-Pont which we are proud to present to you.